The Master of Design Technology is a Wellington ICT Graduate School programme delivered by Victoria's School of Design. If you are interested in pursuing both a creative and a technical career, and are thinking about working in one of the many emerging technology industries here in Wellington, New Zealand or even globally, the Master of Design Technology may be for you. The Master of Design Technology (MDT) is an exciting one-year (full-time) 180-point professional Master’s degree that provides students with the skills needed to work in highly technical design professions including game design, visual effects (VFX), exhibition design and multimedia design. This programme is unique in New Zealand in providing students with the best expertise in both University research and Industry practice with which to gain the skills they need for a future in the broad based and rapidly growing technology sector. The MDT is technology-centric and builds upon the skills acquired in an undergraduate degree focused on digital technology. It is ideal for students who have a bachelor’s degree in design or a closely related field and are looking to up-skill with advanced techniques and high-tech professional practice. Students undertaking this Master’s Degree will produce a professional portfolio based around their chosen focus of study. A practicum (60-point) that concludes the degree will contribute a substantial project to the candidates final design portfolio. Examples of practicums range from participating in an internship with a local film studio to working on a group project (like a game or animated short) under the guidance of professional mentors. The programme starts in March each year, and is taught at Victoria's Miramar Creative Centre. This new centre contains the latest industry standard technology so that students gain first-hand experience in the software, hardware and professional practices common to the leading creative tech industries. You can find further information about the MDT, including detailed course lists, on the Wellington ICT Graduate School website. People who hold a passion for creative technologies, and are committed to learning the deep levels of skills and knowledge required of the industry, are ideal candidates for this programme. Applicants for the Master of Design Technology should already have some understanding of digital design technologies, while looking to develop their skills appropriate for the Visual Effects, Game Design, Exhibition Design and Multimedia Design Industries. a proven aptitude with a 3D computer graphics application (such as but not limited to Maya, Houdini, or ZBrush). 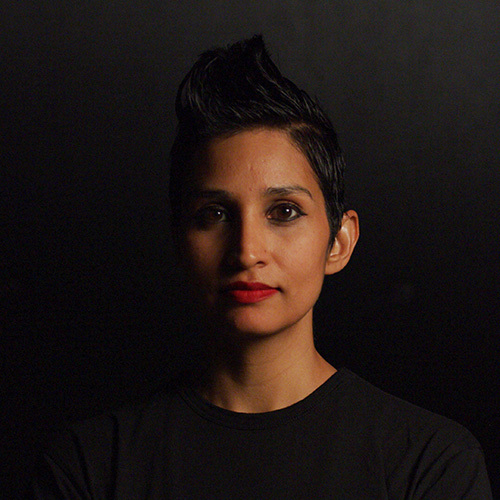 Raqi Syed began her career in feature animation as an Assistant Technical Director for Disney Feature Animation on films such as Meet the Robinsons and later as a Lighting Artist on Tangled. She then went on to work as a Senior Technical Director with Weta Digital on films like Avatar, The Planet of the Apes films, and The Hobbit Trilogy. A full list of her film credits can be found over at IMDB. As a film student at the University of Southern California, Raqi was a Mary Pickford Scholar. While completing her MA In Creative Writing at Victoria’s Institute for Modern Letters, she was awarded the Dominion Post Fellowship for her thesis. More recently, The Los Angeles Times pegged Raqi for its list of 100 Industry professionals who can help fix Hollywood’s Diversity Problem. She is a member of Women in VR and is actively involved in the Wellington VR community. Mark Stanger is an award winning character and creature animator with 20 years industry experience. Mark has worked at Weta Digital since 2009 as an animator on ground breaking productions Avatar, Tintin, The Avengers, The Hobbit Trilogy, The Planet of Apes films and Valerian and the City of a Thousand Planets. Prior to that Mark had extensive experience as an animator and animation supervisor on Emmy, VES and Annie award winning animated television programs. After completing a degree in Visual Arts with honours in drawing and painting at the University of Victoria in Canada, Mark went on to earn diplomas in both classical and computer animation from Sheridan College. While working on cutting edge visual effects films Mark continues to ground his practice in drawing and performance recently studying for a summer at the Florence Academy of Art in Italy and also running the figure drawing sessions at the Wellington Art Club in Miramar. Areito Echevarria is an Academy Award winning visual effects artist with over 20 years of film industry experience, specializing in Compositing and Effects Animation. Most recently Areito was the Head of the FX Department at Weta Digital where he supervised a team of over 50 FX artists, animators and developers. Prior to that he held roles as a Compositing Supervisor at Weta Digital, Framestore and The Mill in London and Iloura in Melbourne. Areito's feature film experience includes work on films such as War for the Planet of the Apes, Godzilla, The Hobbit trilogy, Avatar and Black Hawk Down. In 2014 Areito was Awarded the Scientific and Technical Academy Award for his work developing Deep Compositing, a technology that fundamentally changed the nature of compositing workflows in the feature film industry. Areito also has three Visual Effects Society Awards nominations for outstanding FX animation and compositing. He is currently pursuing research in game design and artificial intelligence for virtual reality. Areito delivered MDDN 421 Compositing and Motion Graphics as part of the Master of Design Technology programme in trimester 1 2017. Applicants will need to submit a portfolio that exhibits creativity and digital proficiency. We are most interested in time-based media that demonstrates capability in a 3-D software package and an interest in storytelling. Examples of the kinds of work we’re most interested in: short narrative films, play-throughs of games or mixed reality experiences, and turntables and animation tests for digital characters and assets. We are also happy to evaluate drawings such as concept art, storyboards, and character development, though these should be supported by time-based media work. Please submit 2-D work as a pdf and 3-D work as a link to a Youtube, Vimeo, or movie file hosted on a server that can easily be accessed by our faculty. Submit your portfolio via our online enrolment system (.doc .rtf .pdf .docx). Or in one of the following formats (web, paper, PDF, USB), by email to design@vuw.ac.nz or drop it into the Faculty of Architecture and Design reception.